Europe is set to get a new steel giant after two of the industry's biggest players agreed to team up. Germany's Thyssenkrupp (TKAMY) and India's Tata Steel announced plans to merge their European operations on Wednesday to create a new force in an industry that is under intense pressure from cheap Chinese exports. Thyssenkrupp and Tata said their planned joint venture will be Europe's second-largest steel producer with annual revenues of almost $18 billion. It will be headquartered in Amsterdam with more than 40,000 employees. The merger is expected to cut costs by between €400 million and €600 million ($720 million) a year. The global steel industry is still struggling with too much production capacity and not enough demand, and the merger will mean layoffs. "Even with the joint venture it will not be possible to avoid job cuts," Thyssenkrupp CEO Heinrich Hiesinger said in a statement, adding that as many as 4,000 jobs are likely to be axed in the coming years. The cuts would be distributed "roughly evenly" between both companies, he said. In an interview with CNN, Thyssenkrupp chief financial officer Guido Kerkhoff said the main goal of the merger was to "cope with the overcapacity issues in Europe" -- a situation made worse by Chinese exports. Chinese overcapacity still outstrips total demand in Europe and the United States, Kerkhoff added. Industry experts say the merger has been a long time coming. 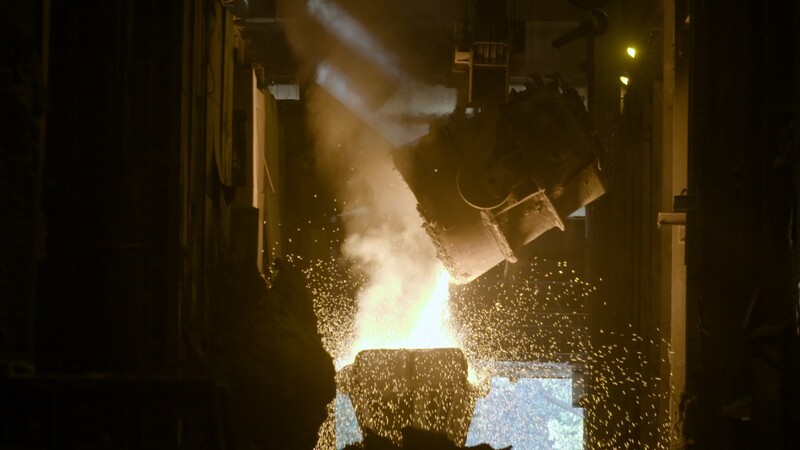 "The market has strongly suspected this amalgamation was coming for some time now -- it is the worst kept secret in steel," said Alex Griffiths, an analyst at consulting firm Wood Mackenzie. "Regardless of cost savings resulting from the joint venture, neither entity is likely to add further capacity," he added. The companies said they plan to sign a formal agreement early next year and close the deal by the end of 2018. Tata Steel, a subsidiary of one of India's biggest industrial groups, has faced numerous challenges with its European steel business. The company announced plans to offload its U.K. operations last year, blaming cheap Chinese steel imports for plummeting prices. But it later put those plans on hold.